Tim Worden is a partner in the Life Sciences Group of Taylor Wessing. In particular, he specialises in transactional and regulatory work in the life sciences and healthcare sectors. A broad range of regulatory issues in the pharmaceutical sector, including data exclusivity, biosimilars, orphan indications, off-label issues, the promotion of medicines and compliance with industry codes of practice. Regulatory issues in the medical devices sector. A range of intellectual property and commercial agreements, such as licensing and collaboration agreements, research and development agreements, clinical trials agreements and a range of services agreements. Intellectual property and commercial issues arising out of M&A, venture capital investments and IPOs in the life sciences sector. Tim has a degree in Natural Sciences from the University of Cambridge. 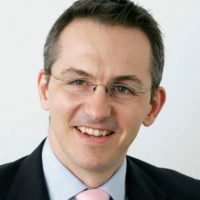 Previously Tim was Company Secretary and Legal Counsel at Eli Lilly and Company Limited. Tim speaks regularly on issues affecting the life sciences sector. He is recommended for pharmaceuticals and biotechnology in Legal 500.